If you are shopping for a luxurious new Acura or late-model used car at Acura of Brooklyn, then consider trading in your current vehicle. With our Value Your Trade form, local Queens and Manhattan, New York drivers can get an estimate of the trade-in value of their vehicles before visiting our Acura dealership in Brooklyn, NY. Using the form below, provide information on your current car like the year, make, model, trim level, options and mileage; we will then contact you with a trade estimate. Trading in your current car can provide you with a greater down payment to put toward your new Acura or pre-owned car, thereby lowering your new monthly payment. 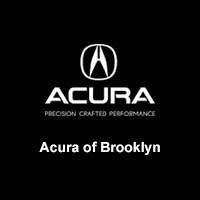 Discover the value of your trade today at Acura of Brooklyn! If you are still shopping for a replacement for your current car, then explore our new and pre-owned Acura inventory now.